Almost exactly 20 years ago three German students of anthropology get off a helicopter in the middle of the Western Siberian forest tundra, over 100 km from the next settlement. They see a little wooden hut and a couple with two small kids is approaching them. Nobody told this people that they will have guests and the guests did not met the hosts before. 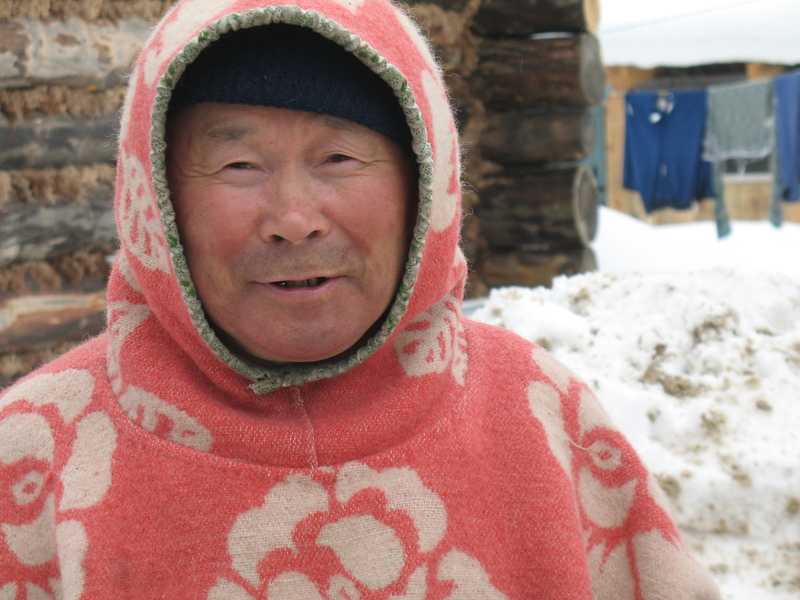 In the village the students were told the day before that the poet and reindeer herder Yuri Vella lives far away and there is neither road nor transport to his campsite. They decided already to give up their plan to visit Yuri Vella when out of a sudden a helicopter appeared. I was one of these students. This was the moment when I met for the first time the men who should become my most influential teacher of anthropology and whose forest camp became for me a second home. 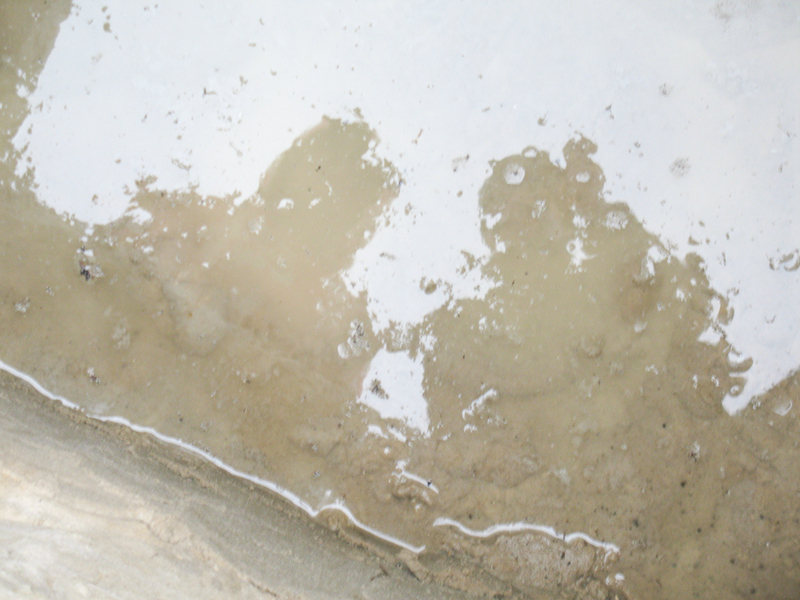 Reflections of Yuri and me in his well. Recently a friend asked me what I learned from him in the first place and while thinking about an answer I discovered that it is really hard to say. The reason is that it reached from the most practical things like how to light a fire in the in the forest to the most theoretical ones like how to understand human-animal relationships. Yuri Vella was born at the 12th of March 1948 in the nomad camp of Kyli Aivaseda not far from the village of Varyogan. The village was the place the nomadic reindeer herders from the Agan river basin were supposed to settle down. Here he went to school, here he was appointed as the head of the village administration for a short period, and here he established the open air museum, where he saved traditional buildings and objects from the forest settlements destroyed by the oil industry. The forest lifestyle of the Nenets and Khanty fishermen, hunters and reindeer herders, which was under thread by the ruthless oil-development became his most important issue from the perestroika times on. 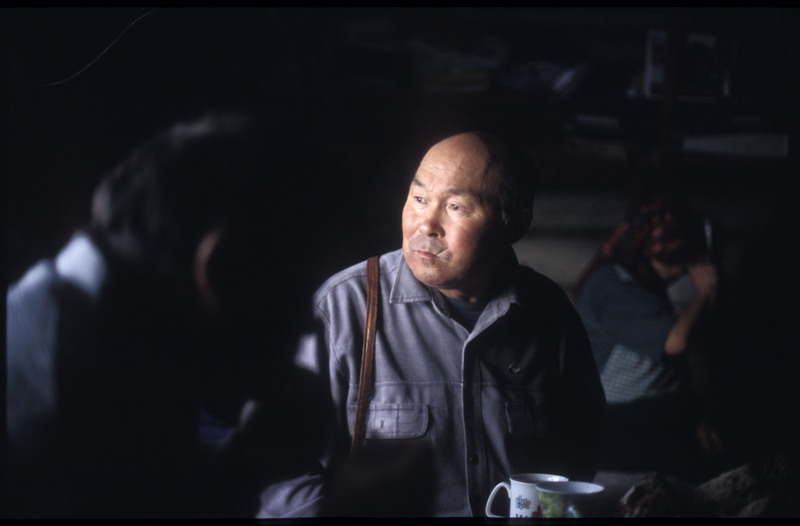 He worked himself as a hunter in the area his grandfather used to hunt on and later he decided to establish a reindeer herd and to live permanently on the territory where I met him in 1993. At the beginning of the 90ies he organised demonstrations of the local people against the ruthless actions of the oil companies that destroyed not only the settlements, the sacred places and cemeteries of the Khanty and Forest Nenets but poisoned the river and swamps with oil and contaminated the air with the gas they burned. At this time he also understood that there is more that get lost than just the environment. The language, the knowledge, the values of a lifestyle that is based on a respectful relationship between animals, people, and forces that are more powerful than humans started to disappear. He decided to make his own live and his own settlement in the forest a place where people could learn about these things. He made himself a living example, which could teach not only his family members and relatives but also all people interested, be it school children from the oil-town or foreign anthropologists. I think this congruence of words and deeds was the most impressive feature of Yuri Vella. False politeness and strategic submissiveness were completely foreign to him. I was impressed by the degree of autonomy he claimed not only in his thinking but also for his lifestyle. He seemed to be free from all the conventions of modern live and social prestige and decided himself about the values he accepted from the traditions of his Nenets ancestors and of European cultural heritage. I had the luck to be introduced by him to some of the elders that where still deeply rooted in the values and traditions of the forest life – Oleg Aivaseda, Valjoma Aivaseda, Oisia Iusi and Egor Kazamkin. 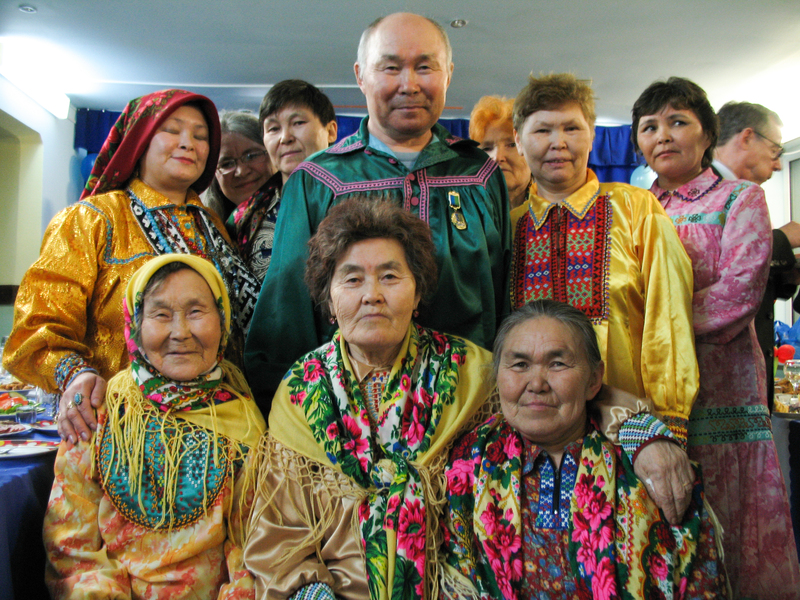 Nowadays, when I work with Nenets elders I often feel that it is due to Yuri Vella that I learned to listen, to be patient, to provide the feeling that their knowledge will be in competent and respectful hands. Here I think I learned as well the most important theoretical lesson in a very practical way. While building the winter hut or the reindeer fence he would mix very practical teaching with reflections about spiritual forces and political circumstances. He told about the threat of the oil industry for the reindeer, about the spiritual landscape of ancestral tradition and about the ways how to orientate oneself without compass and map in the landscape in almost one sentence. My well build hierarchies of knowledge were tumbling down. I understood that there are no authorities the legitimacy of knowledge is based on. His mixture of pragmatism, firmness in principles, and personal experience skipped all hierarchies of scientific, empirical, indigenous, and spiritual knowledge. His writings and his poetry are a proof of his disregard towards established knowledge forms. They mix poetry and prose, science and the traditional spirituality with always a social and political agenda and are not afraid of very personal statements about love and human relationships. To write a poem, to build a wooden sledge or a block house, to organise a protest against an oil-company or to establish a forest school for reindeer herders children this were all not separated projects but rooted in one live that centred around the coexistence of men, forest and reindeer. I could tell what I learned about indigenous storytelling, about the role of reindeer in Nenets and Khanty culture, about indigenous spirituality, about gender relations and the differences between Nenets and Khanty people. To elaborate on it would go far beyond the frame of an internet blog and some of it, like the ways to deal with forces more powerful than men, I cannot share with an anonymous public. I will just tell a little bit what I learned about politics, about the possibility to influence the actions of much more powerful institutions and discourses that influence ones live. His political thinking developed in the conflict between indigenous people and oil companies. He saw its deeper historical roots in different relationships to the land and its resources between state bureaucrats, oil-workers and reindeer herders. His way of political engagement was again a very personal one. Instead of searching for a place in established political institutions he chooses to defend his own small ancestral territory from the destructive development by the oil company LUKOIL. He tried to be the David against Goliath and to use the weapons of the weak. He was very much aware of his lack of power in terms of economic weight. Oil companies were able within a growing nationalistic discourse to present their interest in profit at any cost as a national interest of Russia. The only chance in this situation was to use all means of symbolic politics, to make politics not with money and influence but with words, pictures, and art. Without building up broad alliances with media, scientists, social and ecological organisations even over cultural and political differences he would have not been able to fight this uneven struggle. 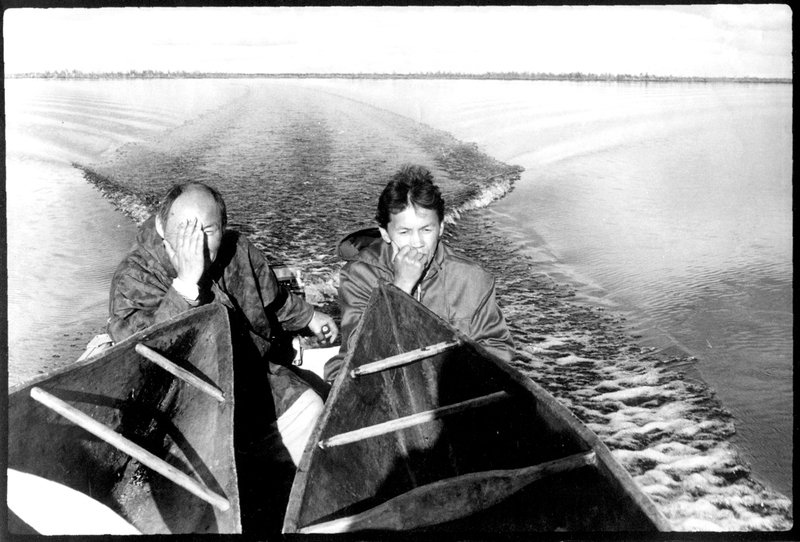 It required certain skills to navigate between principles and compromises and often he was calling himself the “clever Nenets” if he again found a way out of what seemed to be a dead end. He refused to give up his reindeer pastures for payments by the oil companies and managed to stay uncorrupted in contrast to a lot of other indigenous politicians which could not stand the pressure of the oil-lobby or powerful political parties. He was able to keep his own sovereignty, the inner freedom. He gave me the certainty that if one builds up a respectful relationship with nature and other humans one can skip all social conventions and should be not afraid of power, politicians, oil companies or other somehow influential people. I learned from him the meaning of respect, the meaning of silence, what it means to see. This entry was posted in All, Announcements, Extractive Industries, Indigenous Peoples, Russian North, Theoretical Issues and tagged activism, Anthropology of the North, Forest Nenets, indigenous people, Khanty, Nenets, reindeer herding. Bookmark the permalink. Great piece of writing. So very important. Love, honour & respect to the ancestors. Thank you Stephan for a wonderful entry on Yuri. I think it is safe to say that indeed he was the most influential teacher for the anthropology of West Siberia. His activism for a life in the forest paired with suberb intellectual, psychological and spiritual competence happened to take place at a time when the whole frame of society shifted, not only in his world but also the rest of the globe, due to the end of the Soviet Union. It is this timing that enabled the practice of shaping a whole new field of anthropology in Siberia, one that is along the lines that Gray et al describe in their article “who owns Siberian ethnography”. Yuri Vella taught us how to do fieldwork in a personally very engaged way, to become and get close friends in the field, and yet always have the broader picture and our general aims of enquiry in sight. From our anthropology team alone you Stephan, myself and Rudolf Havelka went through Yuri’s school. Then think about how much he shaped the Estonian group of West Siberian anthropologists, and the Moscow scholars, and many others. I will always be fulfilled with great gratitude to Yuri for what he has done for our field, and for many us us way beyond anthropological field work – he helped us to mature as personalities and become independent thinkers. a great theacher is gone. but it is not the end of the path – we all have to continue his ideas of an independent and peaceful movement against ethnocid and ecocid. 20 jears ago, we were inspired of the idea been action anthropologists – let us move further on – together – independent – free.